PADI 5 star IDC dive centre Scuba Birds offers you PADI diving educational courses and scuba diving on the best dive sites of the Gulf of Thailand on the islands of Koh Tao and Koh Samui. Our dive centers have started operations on Koh Samui and Koh Tao islands in 2007. Open for yourself an amazing underwater world of the tropical seas together with Scuba Birds! Location We are located in Koh Tao. Koh Tao is a small island in the Gulf of Thailand and belongs to the province of Suratthani. In spite of its size (only 3 by 7 km) this island is the main centre of dive industry of Thailand and the whole South East Asia. There are more than 80 dive centres of all the world diving associations. Best beaches, wonderful snorkelling – all this combined makes Koh Tao not only the Mecca of diving in Thailand but a perfect place for family vacation as wel...Continue readingl! Instructors & Dive masters We have highly professional instructors’ team with thousands of dives and hundreds of certifications. There are 3 Divemasters, 7 Instructors, 1 Course Director. 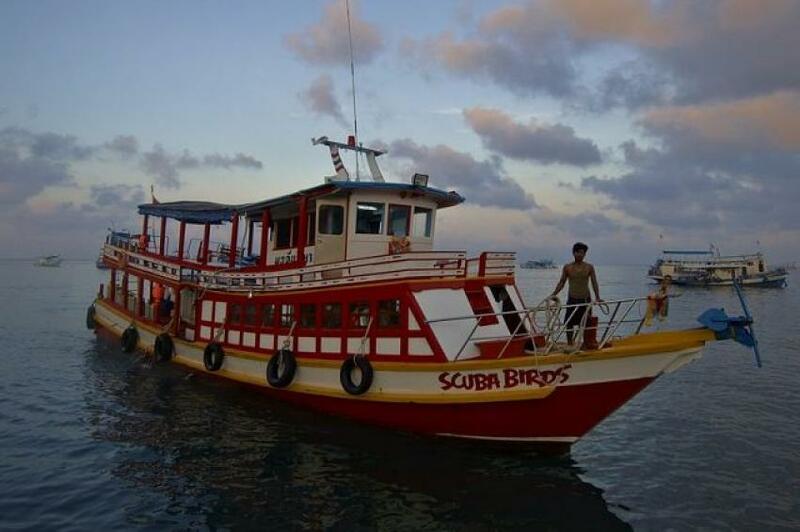 We have 20 m comfortable and well equipped dive boat. Our boat is specifically equipped for diving. On the lower deck you can find the dry zone and dive deck. The upper sundeck is for you to relax and have a rest between the dives. Cruise speed – 9 knots Accommodates up to 30 divers. Crew – 2. Read before you go All the diving courses include accommodation during the course’s term. We have special discounts for courses and diving for the groups of 3 and more persons! Transfers are free from and to your hotel.